Athena Pierce loves to explore old abandoned buildings, so when she gets a chance to check out the abandoned Sarton Asylum she takes it. 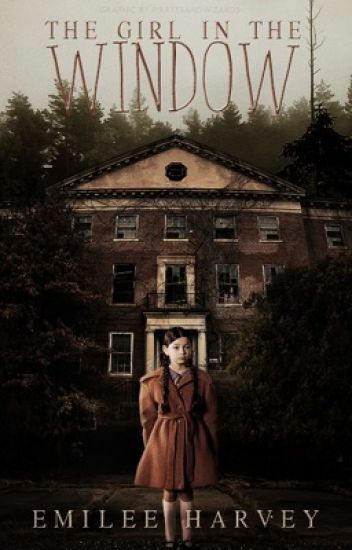 What she doesn't know is that a little girl name Effie Richmond still lives there with a horrible past and secret. Athena Pierce is back on an adventure. This time, she has her brother, Derek, along with her to help. Athena certainly didn't learn her lesson the last time and is back in another asylum. This time in Italy. Italy has a much worse problem than a haunted asylum. The whole country is under the influence of a demon king. Along the way of almost getting attacked several times, she meets a stranger who promises to protect her. She was able to escape the wrath of the last demon, but will she escape from these alive? This is a story based on a girl named Jessica who sees a horror dream in which she and her two friends named Maria and Nancy goes to a house which is locked from almost 10 years. Read the story to know what happens in the house with her and her friends. This is my first story  so please read and enjoy The Horror Dream. Guys, please check my new book The Horror Tree. It's Halloween and four friends have wandered into the woods to see if the legend of The Carnival is true or not. For years, people have been reporting creepy carnival music coming from the woods and the teens want to see if they can get some answers to what is really happening. They are not expecting  anything to happen, but are shocked when they come across a house deep into the woods, and inside are carnival themed  rooms. From endless hallways and stairways leading no where, the teens are stuck and cannot get out. Will the teens ever escape, or will they be forced to stay in Carnival House forever? This is the story about Effie Richmond. Effie's family has always believed that she was different. After her and her family were in a car wreck, strange things began to happen to her. She had developed a strange power that she couldn't control, so they decided to lock her up in the Sarton Asylum. They promised the young girl that they would come back, but they never did. Come see what Effie's sad fate and dangerous powers bring her. After the death of his wife, Simon Fuller moves to a new home, with his two daughters. One day, his daughter introduces a new imaginary friend - Nathaniel. She 'gives' Nathaniel to her father, telling him he can keep the boy "forever". Simon tries to find out who the boy really is, but is unable to. Questioning his daughter, she tells him, again, that it's Nathaniel, but he prefers to be called by his nickname, Mr. Boogie. Have you ever thought about the existence of ghosts? Have you ever experienced a paranormal activity? Have you ever wondered what it is like to come face-to-face with the devil? Read to find such an experience encountered by a woman. Copyright © 2015 by Harjot Kaur. Made in India. Published on Wattpad. Harry Mel is a recently divorced psychiatrist, who has been working for twelve years at Scranton Mental Asylum. In his years, he'd never before had a patient who had intense homicidal tendencies, nor had he treated a patient who had intense an impulsion to commit violence against other; but even if he had it would've never prepared him for his new patient. A patient who was transferred from Palmerton Mental Hospital, who has the body reminisce of someone who survived a Nazi concentration camp. A patient with no past, and no identity; a patient that is only identified by four numbers: 1543. A patient with unnatural icy blue eyes, and supernatural powers; a patient who is more than he seems. In Patient 1543, Michael Hall sets the profile for his writing and his stylistic tendencies. Using potent horror and incredibly detailed descriptions, Michael paints his picture of terror and horror. In Michael's opinion this is one of the best stories he's written to date. [ UNEDITED ] READ AT YOUR OWN RISK!! Let's be honest. What could possibly be worse than a 4 night stay in a 'haunted hotel'. Angeline, John, Max, Marcus, Ashlynn and myself, grouped together and assigned to stay in Room 414 of Resident Hotel. Creepy receptionist, elevator stopping at random floors, weird screaming at night, sudden deaths of students and seeing things only a person with a third eye could see. This is our story. *RESIDENT HOTEL IS A FICTIONAL HOTEL WHICH I MADE UP MYSELF. 16 year old savannah just moved into a new house with her step mom. She believes its a nice home. Is it really?